"You've got to try that Cambodian restaurant in South Philly." Never knowing the actual name of the restaurant, I kept hearing people repeat this recommendation. 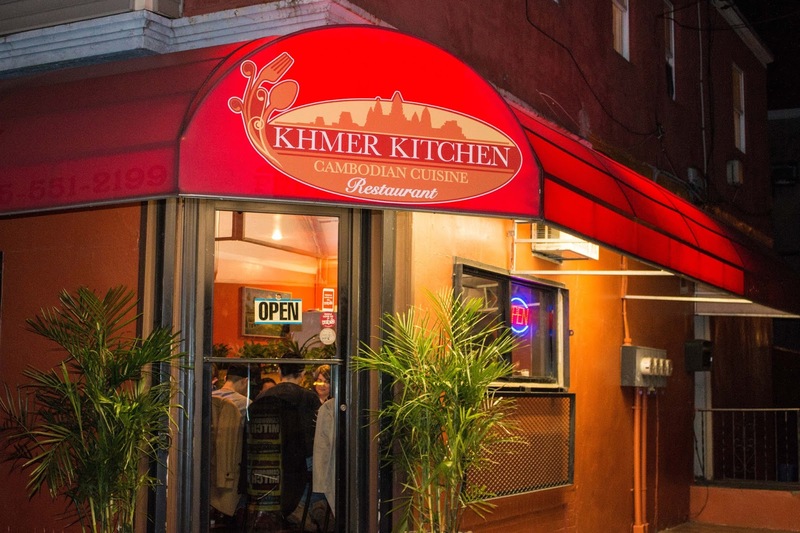 Recently though, I came across Khmer Kitchen and put two and two together. So glad I did! It was also fortuitous that it was time for a couples' date night with some friends. We were all excited to see what lay beyond Philly's typical dining scene. 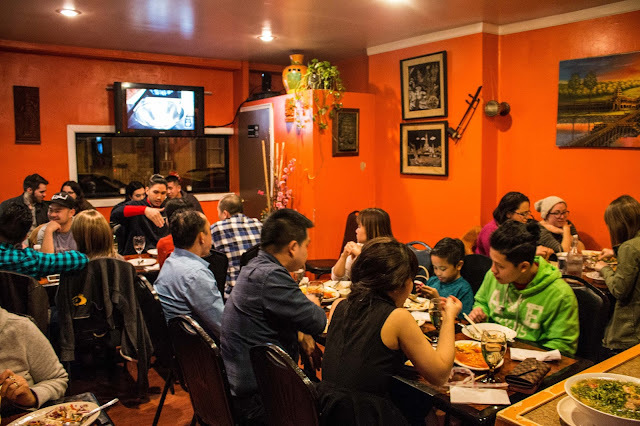 Khmer Kitchen is a family restaurant, with one of the sons serving the room and the rest of the family, from brothers to grandmothers, cooking in the back. I loved the attention to detail and appreciated that we were told which dishes each of his family members prepared! FYI - Khmer Kitchen doesn't take reservations and seating is limited. So be prepared to wait a bit - it's worth it! 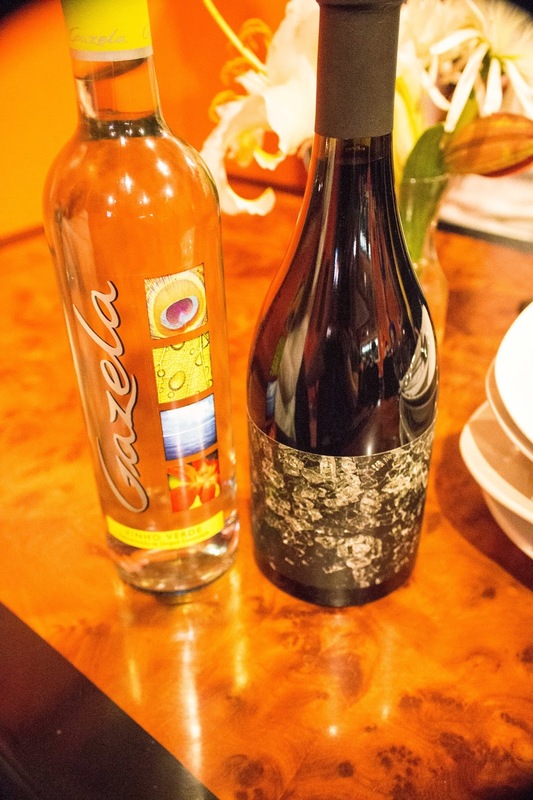 Once you get your table, pop open a few bottles because it's BYO. I loved this Shatter Grenache 2011 that I was gifted by some co-workers. 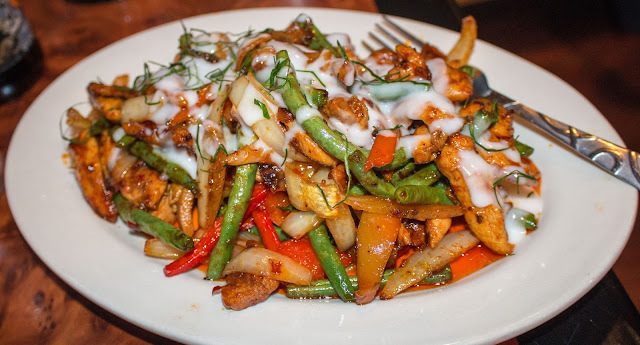 It had a nice spiciness that complemented the sweet and sour flavors of the dishes to come. Please start off with the Prah Hok Kateeh - the caramelized ground pork is marinated in the prah hok fish paste, which provided additional savoriness that belied any fishy expectations. The coconut cream balanced the pork really nicely. A veritable meritage of cabbage, red pepper, carrot, green beans, and cucumbers were offered as scooping vessels. The raw eggplant was surprising to me, but in combination with the pork, it worked. 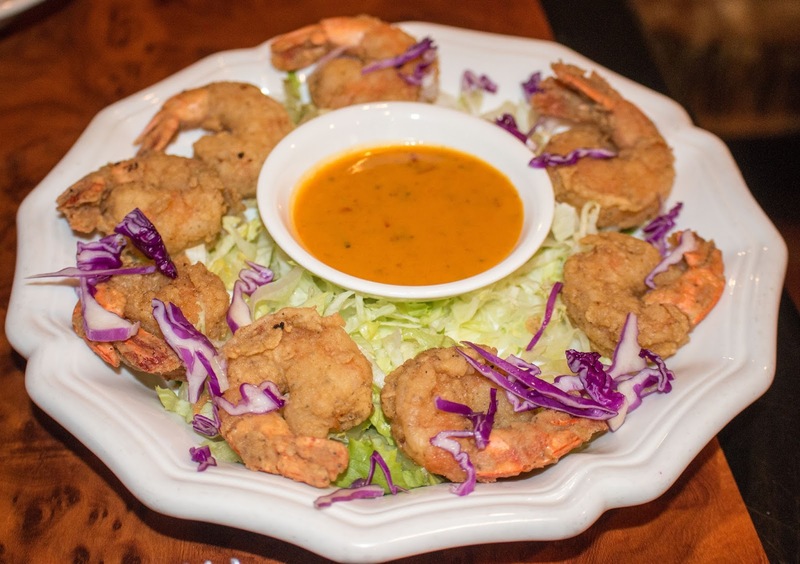 We decided on a starter of battered shrimp as well, which were crisp and lightly seasoned. The shrimp themselves were snappy and succulent. The star element of the dish? The coconut curry cream sauce, which was somewhat savory and delectably sweet. In combination with the fresh red cabbage and lettuce, along with the snappy shrimp, this was easily enjoyable. A table favorite was the stir-fried beef, especially for those that prefer their beef well-done. Even cooked at that temperature, the beef was nicely juicy because of the marinade. 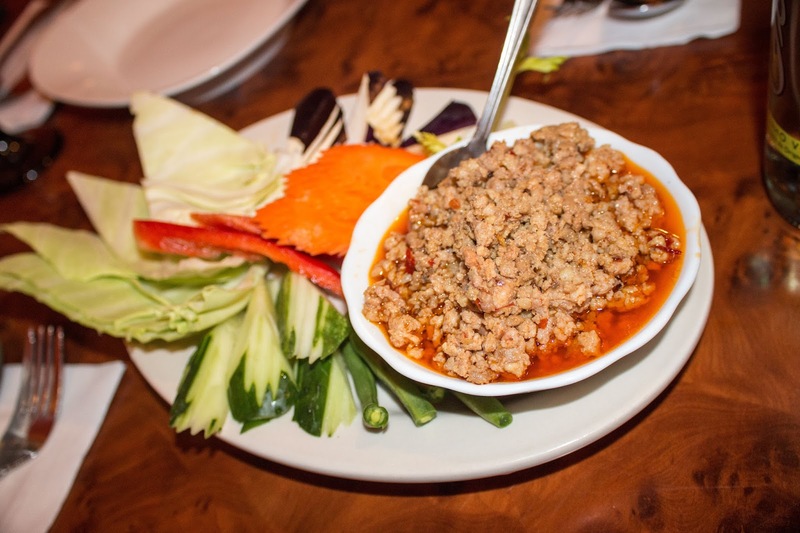 The prototypically Cambodian flavors of Kafir lime and lemongrass were all there. A true balance of flavors. Easy eating with some of the accompanying rice! 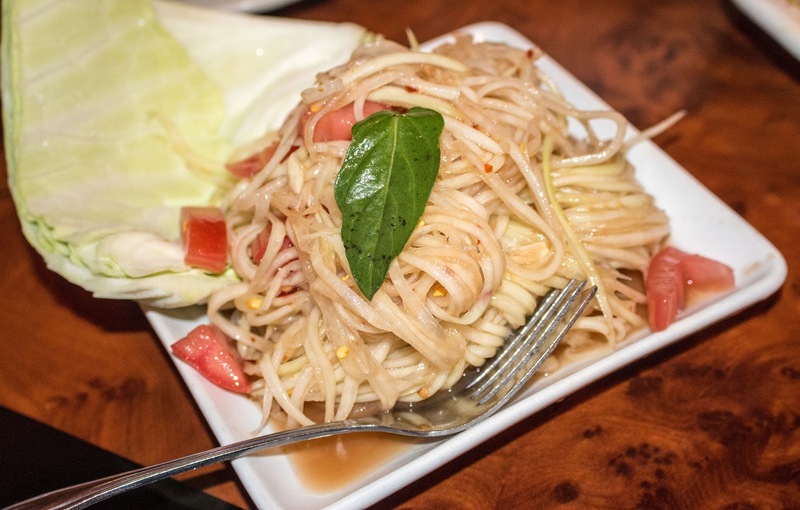 If you're at a Northern Thai or Cambodian restaurant, you've got to try the papaya salad right? The fish sauce definitely permeated throughout, but I found it to be a great counterpoint to the savoriness of the rest of the meal. The freshness of the crunchy green papaya was undeniable. 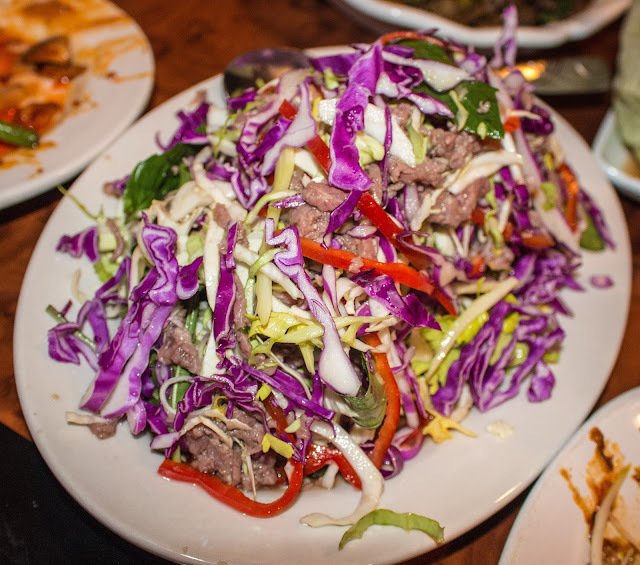 One of the surprising standouts was the eye-round beef, essentially served ceviche style. Marinated in lime, it's lightly "cooked" and in great balance with the herbs. Sweet, savory, acidic, and lightly spicy, all the flavors were there. In fact, if you weren't told that the beef wasn't traditionally cooked, you probably wouldn't know! An off-menu recommendation was easily my favorite dish of the night - perhaps in recent memory! The moist, juicy chicken contrasted in texture with the crispness of the veggies. Sweet, savory, and rich, the coconut curry cream sauce was ridiculous and tied it all together. Could easily eat this 24/7. Pro tip: They're closed on Mondays and the last seating is at 8PM, with the exception of Sundays when the last table is at 7PM. It was approximately $20-$25 per person including a 25% tip, so don't let your wallet stop you. 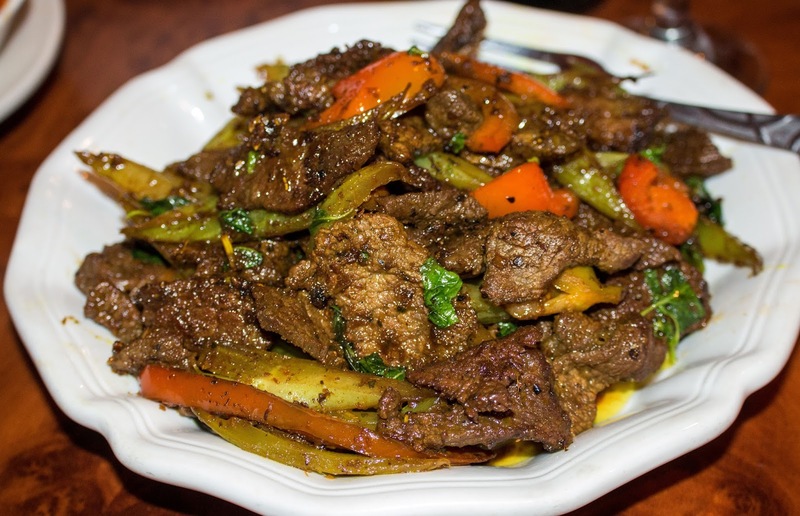 Khmer Kitchen is definitely a South Philly gem that needs to be checked out! If you aren't willing to wait for a table, they do deliver on Postmates!